Students will become educated on food insecurity while making sandwiches for those in need. Every November, as a part of Hunger and Homelessness Awareness Week, the Center for Leadership and Service (CLS) hosts events called Food for Thought designed to give students an opportunity to learn and serve people in the community with food insecurity. Two of these events took place during Homelessness Awareness Week on Nov. 14 and Nov. 16. Food for Thought is a direct service to the community food banks as it gives students a short overview of the struggles people who are food insecure go through daily. Food insecurity refers to the struggle to find one's next meal every day due to financial restrictions. This year CLS partnered with the Human Rights Institute and produced three different lectures in relation to hunger and homelessness. These lectures would work to support the topics briefly discussed during Food for Thought, which is a GE 1000 Approved Service and Civic Engagement event. 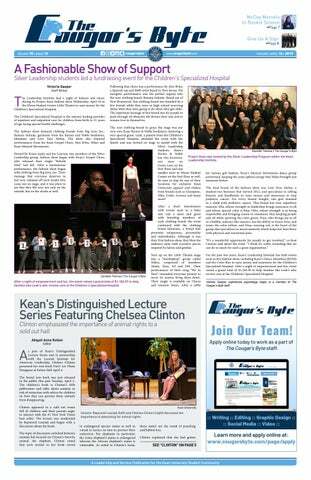 GE 1000 approved events are events on campus that will give students taking Transition to Kean community service hours for attending. 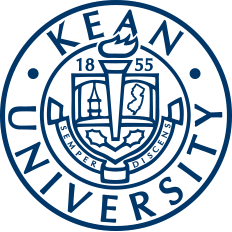 Housed in the Nancy Thompson Library, the Kean University Human Rights Institute is dedicated to supporting and promoting equal rights and anti-discrimination throughout not only Kean University, but the extents of the world. The institute designs ways to combat human rights atrocities and their causes. It is passionate about the importance of awareness and education for human rights that are being violated all over the world. The first lecture discussed Hunger and Food Policy and took place Tuesday, Oct. 30. In this lecture, speaker Lisa Pitz, outreach director for Hunger Free New Jersey, spoke on hunger in New Jersey and discussed what students could do during the mid-term elections to help hunger and food policy. The second lecture took place Tuesday, Nov. 13 and covered the topic of Hunger and Veterans. Students were able to meet veterans who rely on services like food stamps and have overcome food insecurity. The final lecture in this series is in the North Avenue Academic Building (NAAB) Auditorium Nov. 29 from 4:30 to 6:00 p.m. The lecture is titled "Hunger & Conflict: 60 Minutes Goes to South Sudan". In South Sudan, a high number of households and families have extreme food insecurity. In addition, there are high numbers of people who do not have sanitary and/or safe homes. These lectures worked directly to the topics briefly discussed in the Food for Thought events. What separates Food for Thought from other hunger and homelessness events is that students can see and feel their contributions to the community. Packaging and making sandwiches for people who struggle to live between meals creates a way for students to feel directly attached to the project. "It's a very intimate experience as every single sandwich volunteers make is donated and they're able to see...how much of an impact they're making in the community as the sandwich pile continues to get bigger," said Kara Kitchen, service specialist with the impact area of hunger, homelessness and housing within CLS. While this year's Food for Thought events may have passed, the local community food banks accept donations all year round, with donations going toward this important cause that affects many citizens in the U.S. and the world. It is during this time that the community honors those who are not food secure and/or do not have secure homes. November begins the holiday season as a time when people reflect on what they are thankful for and what they can cherish in their lives. When thinking about what they have, people also look to help those who have less. For more information on service events from the Center for Leadership and Service, visit them in the Miron Student Center Room 219, email service@kean.edu or call (908) 737-5170.